Nicolle L. Gonzales, (Diné - Navajo), BSN, RN, MSN, CNM. ​Mrs. Gonzales received her Bachelor’s of Nursing and her Masters of Nurse-Midwifery at the University of New Mexico. She is a member of the American College of Nurse Midwives and is certified with the American Midwifery Certification Board. She has over 12 years’ experience as a nurse and has worked as a Nurse-Midwife doing full-scope midwifery for the last 7 years. Through the years, she has worked on several community projects around birth equity and she has served as the founding board president and vice board president of two birth centers in NM. 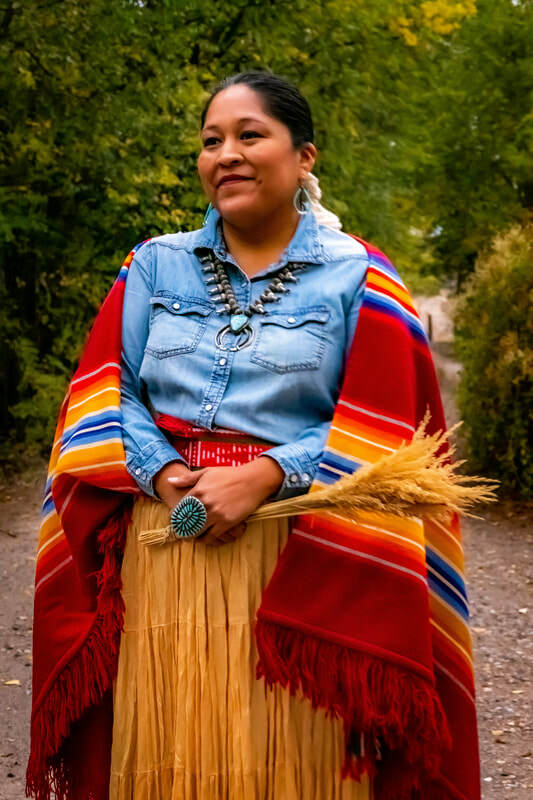 In addition to attending births, Nicolle was a contributing author to the “American Indian Health and Nursing” in 2015 and is a contributing writer for the Indigenous Goddess Gang online magazine, where she discusses indigenous birth, midwifery, ceremony, reproductive justice, and indigenous feminism. ​Ms. Begaye has 10 years of experience working for non-profit organizations serving in the capacity as Executive Director and Assistant Executive Director. Most recently, she worked as the Executive Director for New Mexico Dental Association. As the former Miss Indian World, she is an experienced public speaker and has good relations with tribal communities across the country. Ms. Begaye received her BSA in Native American Studies from UNM in 2011.